MANAGUA, Nicaragua — Nicaraguans revolted last April when the government announced it was raising payroll taxes and cutting retirement benefits to bolster a social security program hemorrhaging money. 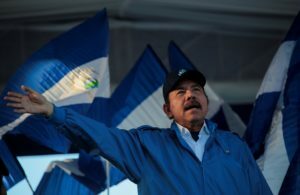 The unrest led authorities to quickly withdraw the measure, but as the protests boiled for months and broadened into demands that President Daniel Ortega leave office, security forces responded with a harsh crackdown that killed over 300 people. Hundreds more were arrested and an estimated 50,000 fled into exile. Now, with the dissident movement cowed, a new plan to cut pension payments by 30 to 40 percent and a raise in payroll taxes is taking effect. And economists and business people are warning that it threatens to have even more severe effects for Nicaraguans and could plunge the country into deeper recession and unemployment. “This measure is absolutely much more drastic since it’s not gradual but instead immediate, and it will affect the nearly 800,000 insured in the country,” said Mario Arana, who was minister for development, head of the Treasury and president of Nicaragua’s Central Bank during the 2001-2006 administration of Ortega’s predecessor. “All sectors of the economy will be damaged,” Arana said. The social security package was approved in January by a legislature dominated by Ortega’s allies and took effect Feb. 1. Businesses with over 50 employees will see their social security tax payments rise from 19 percent to 22.5 percent of pay while the tax on a worker’s wages will go from 6.25 percent to 7 percent. The tax on independent workers increases from 18.25 percent to 22.25 percent of income. At the same time, the tax that funds disability, age and death insurance programs is rising from 10 percent to 14 percent. That has people like Mercedez Ramirez, who owns a beauty salon in the capital of Managua, worried. Over the last decade, she has already seen her clientele plummet and had to lay off two of her four stylists. Now she doesn’t know if she can afford the social security taxes for the two who remain. Please click here for the complete article.